Once a Condition Set has been created, it can be saved to the EasyScan library for reuse. 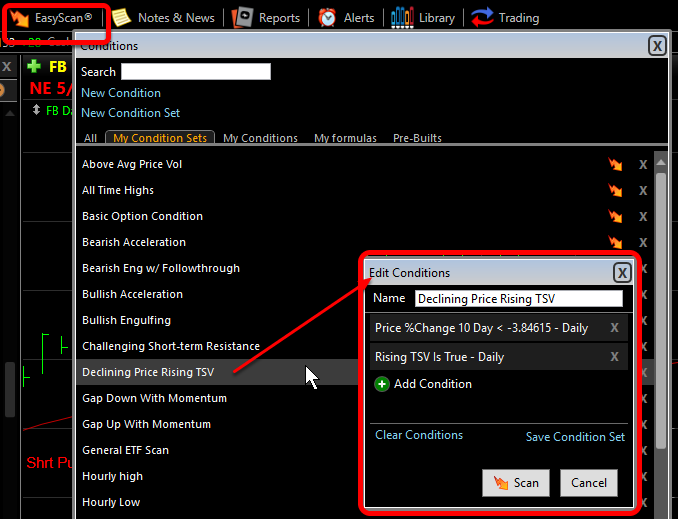 Simply select any Condition Set from the Library to use it for sorting, scanning, reports, alerts and trading. 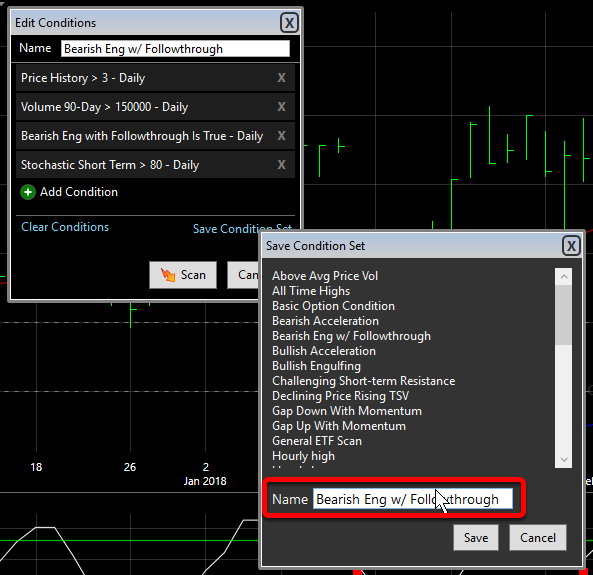 The Condition Set is now saved to the EasyScan Library. 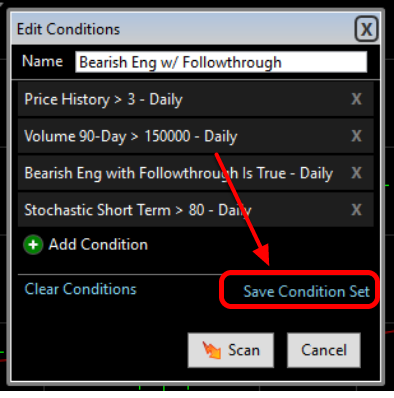 All condition sets from the library can be used for 1) Conditional Sorts; 2) Scan Condition; 3) Condition Alerts; 4) Condition in Reports and 5) Conditional Orders for trading. Click the EasyScan menu button. 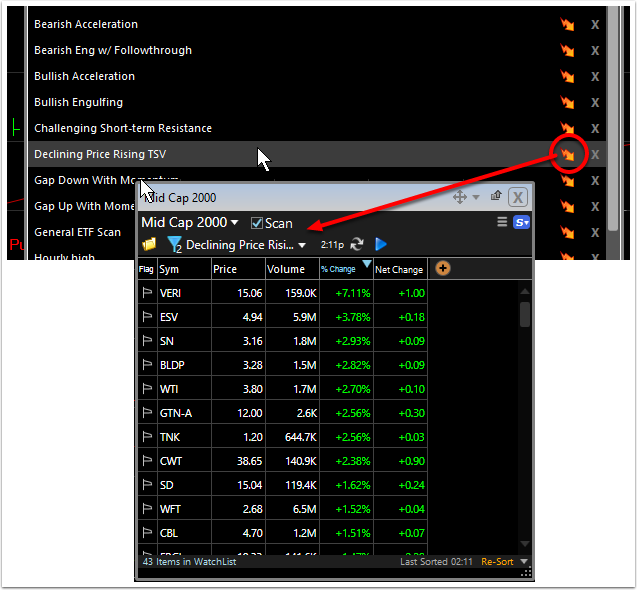 Click the EasyScan (lightning bolt) icon to run the conditions as a Scan of your default WatchList and get current results from the criteria conditions.